For the admitted cohorts 2016 and 2017, the student body of the i-MBA Full-Time class has an average age of 28, while the average work experience is 4,62 years. 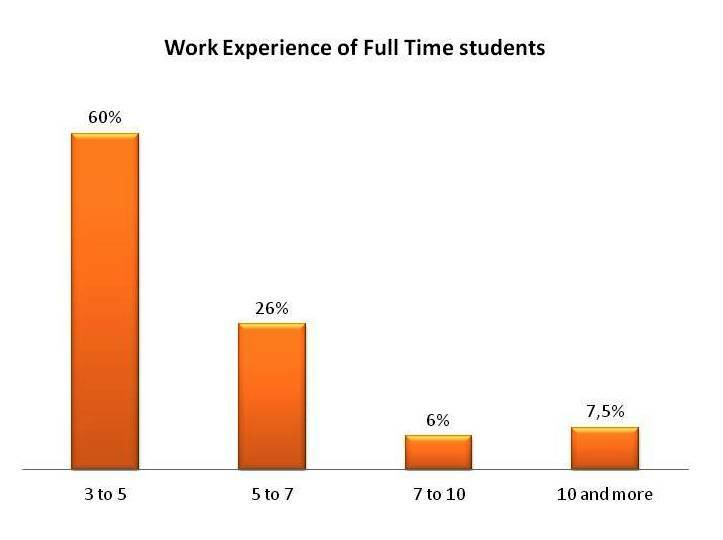 As indicated in the graph below, close to 60% has 3-5 years of work experience with the majority having between 3 and 7 years. 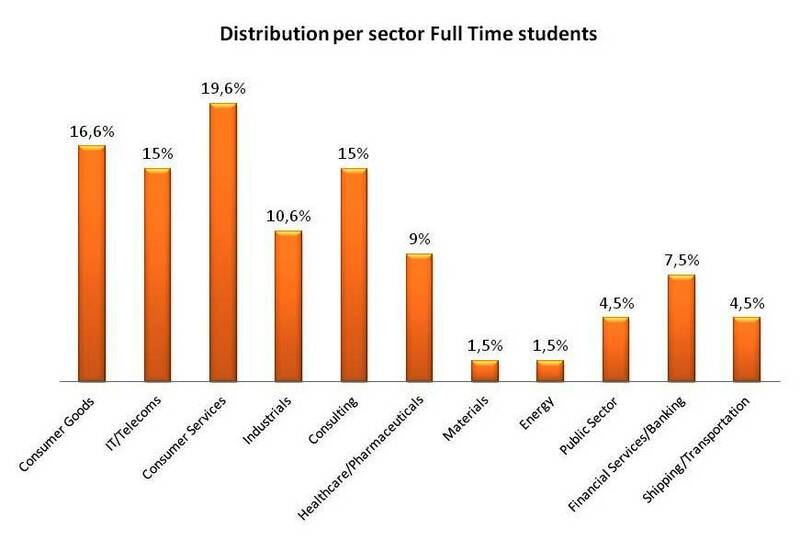 The industry sectors where our Full-Time students have been employed before joining the program are indicated in the graph below. Average class size is 33 students. 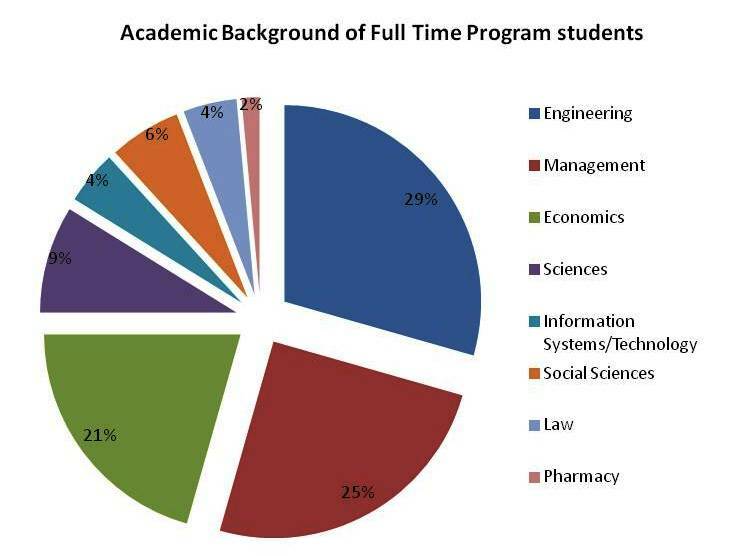 This number ensures a sufficient mass of students to guarantee variety of backgrounds (see graph below) and experiences and enhance the learning experience. On the other hand, we try to keep student numbers at levels that permit participants to socially interact and acquaint themselves with all other students in their cohort.